and to build bridges among different constituencies in the open source community. The OSI Affiliate Program allows non-profit and not-for-profit organisations to become OSI members. The program is now open for applications. After working for more than two years to develop the next generation of CC licenses, version 4.0 was released in November of 2013. The new licenses are more user-friendly and more internationally robust than ever before. CC made dozens of improvements to the licenses. Of particular note are: a more global license; rights outside the scope of copyright; common-sense attribution; enabling more anonymity, when desired; 30-day window to correct license violations; increased readability; clarity about adaptations. For a much more in-depth rundown of the decisions reflected in 4.0, visit the 4.0 page on the Creative Commons wiki. 2014 will mark significant changes, as the CC has begun a search for a new CEO. In the coming year with new leadership, CC will pursue strategies that expand the use of its licenses and promote a robust knowledge-sharing ecosystem. The organization recognizes that many paths lay open for pursuing these objectives, and the search for a new chief executive offers an opportunity to explore new ideas for services, products, advocacy, policies and programs. The new leader will oversee continued stewardship of CC’s licenses and also seek new opportunities to expand knowledge-sharing through the Internet. Finally, keep an eye on CC as discussions related to the compatibility process and criteria for copyleft licenses will provide affiliates a valuable opportunity to share their ideas and offer feedback. In 2013, the Document Foundation has continued to expand, and released several stable versions of LibreOffice, including the major 4.0 branch. The Document Foundation also started their professional certification programme and elected a new board of directors at the end of the year. PyCon is the largest annual gathering for the community using and developing the open-source Python programming language. It is produced and underwritten by the Python Software Foundation, the 501(c)(3) nonprofit organization dedicated to advancing and promoting Python. Through PyCon, the PSF advances its mission of growing the international community of Python programmers. Thos year's conference will be held at the Montréal Convention Center, Montréal, Québec, Canada April 11th - 13th, 2014. The OSI has joined AmazonSmile. Through this program Amazon will donate 0.5% of the sales price of your eligible AmazonSmile purchases to the OSI. In order to ensure your purchases through Amazon support the OSI, please visit, and log in, through the AmazonSmile portal and select the "Open Source Initiative" as your charitable organization of choice. OSI has been fortunate to receive nearly 2,000 donations from 850 individuals through Flattr, raising approximately €900 / $1,230. The OSI would also like to thank HP for their kind donation of computer hardware in support of our new staff. While the OSI is very grateful for the support of both our Affiliate Members and our Corporate Partners, the OSI does not specifically endorse these or any other organizations, projects or companies. The OSI recently implemented XWiki, the open source project developed out of France, as our collaboration platform to help define and develop our operational direction and organizational activities. One of the key benefits of OSI membership is the opportunity to directly influence the direction of the organization: What should the OSI be working on? Who should the OSI be working with? How can we further--even extend--our mission? In line with the open source mantra, "given enough eyeballs, all bugs are shallow," we firmly believe the greatest ideas and best solutions come from "the crowd" and we invite you to join us. The OSI encourages our community--you!--to join the wiki and become active contributors. The open source community is recognized for it's innovation, activism and leadership--let's put that to work to drive open source awareness and adoption. Please self-register at wiki.opensource.org. After joining you can search for topics of personal passion and add your thoughts--or if you can't find your particular area of interest, create a page dedicated to a new topic. While we ask contributions be relevant to the OSI and open source, we also want to encourage you to add any issue you feel is important to help further the OSI mission. Even if you prefer to lurk, or only add a comment or two, we honestly appreciate--and look forward to--your contribution. We would also like to thank XWiki SAS, the for their generous donations of hosting and technical support, ensuring the wiki available, stable and fully functional. OpenHatch (openhatch.org) and the Open Source Initiative (OSI) are delighted to announce a fiscal sponsorship arrangement enabling OpenHatch to receive U.S. tax-deductible donations to its Open Source Comes to Campus program, which organizes workshops at colleges to teach students how to get involved in open source software. OpenHatch is all about bringing open source to new people, and there has been so much interest in Open Source Comes to Campus that OpenHatch is now working to scale it up through their Open Source Comes to Campus In a Box kits that make it possible for anyone to run their own campus event. For the OSI, this was a great opportunity to help a project that is entirely aligned with our own mission to support and promote the open source movement—and to ramp up our fiscal sponsorship program, which we hope to be able to offer to other organizations who are doing great work in open source and just need some logistical support in handling donations. "Helping OpenHatch is representative of the broader vision of the new OSI," said Simon Phipps, OSI President. "After more than a decade focussed on licensing, we're now keen to do more to spread open source and help its communities be more effective." The OSI recently announced the creation of OSI Working Groups. These special interest groups provide opportunities—and resources—for OSI volunteers and members to self-organize around affinity issues and projects. Each Working Group will be dedicated to a specific project that not only achieves a specific goal for the community, but can also further the OSI's mission of open source education and advocacy while building bridges among different constituencies in the open source community. We are very excited to announce the creation of two new OSI Working Groups, one of which has already completed their project resulting in some very interesting and useful educational materials. The majority of project management education currently offered has not kept pace with the evolution of the successful free/libre/open source business culture, processes and methods which have come to prominence in the past decade. This Working Group provides an initial cursory assessment of priorities for including FLOSS in management education in academic and business markets. Based on a semi-structured survey of fourteen subject matter experts in seven countries, preliminary findings suggest that this involves more than techniques. Choices amongst free/libre/open solutions and restrictive solutions involve not only different technical and financial options, but different business cultures. The very words “project” and “management” carry different meanings in the free/libre/open community than in the wider business field. Participants in free/libre/open communities typically do not surrender to being managed, though they accept that someone should coordinate their efforts. In this paper we adopted the terms coordination and coordinator in relation to free/libre/open works, rather than management and manager. Mainstream management education has not kept pace with the evolution of successful free/libre/open source peer-to-peer scenarios. Other than through individual project leaders who happen to be based at educational institutions, the management education field as a whole is only superficially engaging this approach. For the most part it's missing the substantial academic and formal business literature on free/libre/open ethics, methods, processes, governance, HR management, corporate strategy, law and financing, all of which have come to prominence in the operational life of business, government and science. To give a prominent tangible example of the disconnect, in the past decade many commercial and government organizations worldwide have adjusted their competitive hiring and procurement processes to include a mandatory requirement for PMP Certification (Project Management Professional) or PRINCE2 Certification (Projects in Controlled Environments, v.2). But these frameworks assume projects that are under exclusive organizational terms, and hierarchical management. They have recently included “agile methods”, but they continue to lack significant accommodation of other key aspects of the free/libre/open way. Management Education About Free/Libre/Open Works Methods, Processes and Governance (EDU-WG). Who Wants a Membership Card? The OSI has developed membership cards suitable for printing. If you're a current OSI Individual Member and would like to show off your affiliation, please contact the OSI at osi@opensource.org to request a copy be emailed to you. Once we receive your request we will confirm your active membership and ship your card right off--which includes your date of membership and member ID number. Be sure to sign your membership card, then carry it with you whenever you're out and about. The OSI attends many open source, software and technology events. At many of these events we'll be providing premiums—from stickers and t-shirts to discounts on conferences and products/services—from our Corporate Sponsors. Show us your current membership card and we'll make sure you're set up. Shreyas is a currently a student at Sathyabama University in Chennai, India who also serves as the Vice President of the Computer Science Club. Upon joining the OSI, Shreyas reached out immanently to not only provide feedback on how our Individual Membership program might improve, but also stepped up to volunteer to help with those improvements. We asked Shreyas to share his perspective on, and motivations for, working with open source software and the communities that support it. Open Source Initiative: Why is open source software important to you? Shreyas Narayanan Kutty: I'm a person who isn't fond of restrictions. This is one of the major reasons I use open source Software, because the first rule is, there ARE no rules! You are at the liberty of using the software developed by people like you and not by an organization or a small group of inidividuals. It is not controlled or restricted. You are free to develop, build and play around with it. OSI: In addition to being an OSI Individual Member, are you involved in any other open source projects or communities? Kutty: I'm also involved in other open source communities such as Mozilla and Wikimedia. They are also affiliates of OSI. At Mozilla, we aim to create a free, open and secure web for the people. This is mainly done by projects such as the web browser Mozilla Firefox. Wikimedia is an initiative for an Open Education Movement. OSI: Why did you join the OSI as an Individual Member? Kutty: Being a contributor and volunteer at Mozilla and Wikimedia, I was more exposed to the open source world and it made me realize what the word "open" actually means in this context. I wanted to explore the possibilities and the benefits of being an Individual Member. Unlike other organizations, the OSI is run by our representatives! 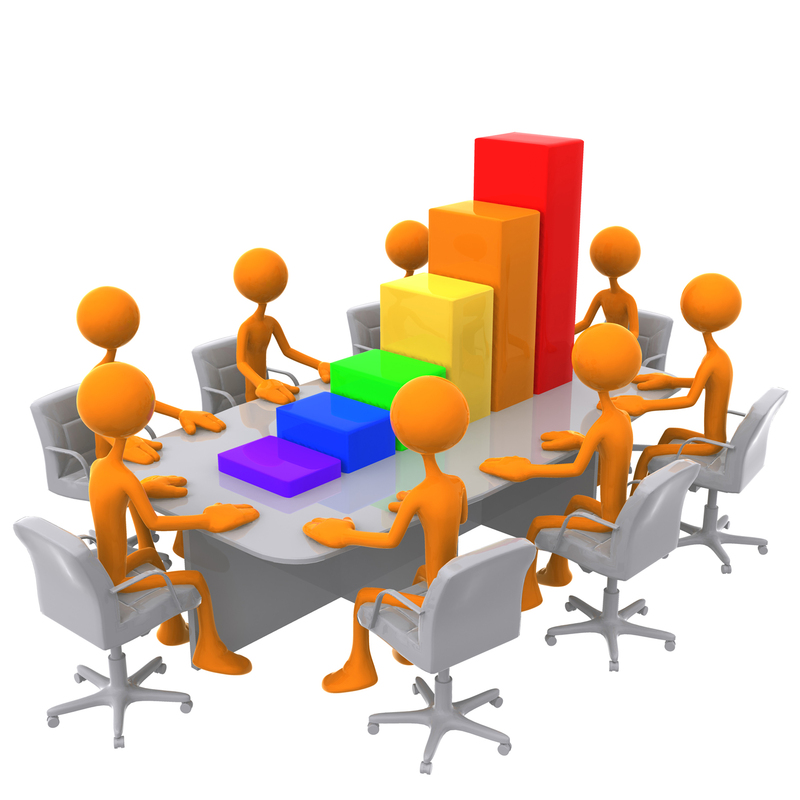 The Individual Member, among all the other benefits, has the power to elect the people who represent them at the Board, thereby ensuring efficient decision making. OSI: How do you hope the OSI can further promote open source use? Kutty: I'm an student, pursuing my Bachelors in Engineering in Computer Science in India. I would really love to have many students get involved into the open source world. This would require extended efforts by the OSI to spread the word and mission. Training sessions, workshops and guest lectures could be given to students in Universities across the world to help them understand the benefits and bringing out their talents to help the open source world. Students play a vital role in contributing and running the open source in the future. Shreyas is an active blogger where he discusses a variety of technologies and organizes campus events promoting open source. Jean-Paul or "JP" has been working as a software engineer in information technology for 16 years (7 years as a consultant at IBM). His focus has been on the integration of large-scale enterprise applications in a variety of industries and technologies. While his people skills often push him into client-facing and architect positions, he prefers hard-core technical programming and troubleshooting challenges the most. JP has been contributing to the OSI each month for almost a year and his January donation was the OSI's first of 2014. Considering his commitment, we thought we would reach out to learn more about JP, his interests in open source software and the motivation behind his generous contributions. Open Source Initiative: What open source projects or communities are you involved with and how? Antona: Apache (Commons, MyFaces, Tomcat, Shindig, Ant, Axis, Chemistry, Derby, Hadoop, Lucene, Xalan, Xerxes, XMLBeans), Java, jQuery and plugins, and so many more. My involvement is generally as a user of these communities and their project deliverables. I am not contributing code to these projects (its rocket science that is beyond me). The code I write depends on these projects. However, I do contribute to the forums associated with these communities by asking questions and providing answers on how I solved problems that were encountered. I believe other developers are encountering the same issues I am and benefit from my forum contributions. OSI: What do you find most appealing about open source software and/or the open source community? Antona: The ordinary appeal, frankly, is productivity. I am solving problems much faster because I am not reinventing the wheel, so to speak. The other important (but ordinary) aspect is standardization: by using these tools I am adhering to best practices and a shared knowledge base - so the applications I develop can be understood and supported by other developers. On another (more spiritual) level, the appeal is that open source software and the associated communities are adhering to the fundamental structure of reality e.g. affirming that we are all connected, we are all in this together, and sharing makes us all stronger whereas proprietary software affirms a world view of separation, self-importance, and frankly short sightedness. OSI: What motivated you to donate to the OSI? Antona: Gratitude. I am grateful for these open source resources and, more deeply, the underlying community and beliefs which set these forces in motion (e.g. the Open Source Initiative). I've accomplished a comfortable middle-class lifestyle in no small part due to the fact I've been able to leverage these tools; but the reason these tools are available is that one or more people had the wisdom and vision to organize these ideas and promote them, persuading software developers to contribute. A root cause analysis of my success led me to believe most of what I have accomplished is dependent on those initial efforts to oppose the proprietary paradigm. I stand on the shoulders of open source thought leaders and the (project) manifestations of their ideas. OSI: What do you hope the OSI can do to promote open source awareness and adoption? Antona: I think the OSI's role is largely one of thought leadership and community building. It's also a defensive one, as I expect private interests will ceaselessly find new ways to oppose and denigrate open source efforts. The OSI needs to be indefatigable in its messaging. Don't assume the success to-date is irreversible. Continue to put the message out there, keep growing awareness, and applaud and reward the engineers who have manifested the vision. Like the Nobel Prize, maybe the OSI can annually award a prize or honour on an engineer whose demonstrated selfless contribution and excellence to the cause. This would focus the media on OSI at least once a year, so it is part of the annual heart beat of the public awareness. About The Apereo Foundation Apereo was formed in December 2012 from a merger of two pioneers in the development of open source software in higher education, Jasig and Sakai. We recognized that over the last ten years, open source solutions have become a major force in helping to address a range of challenges facing higher education. Yet open source initiatives in education remain fragmented and often badly coordinated, with not-for-profit entities tending to proliferate to serve a range of communities and solutions. Apereo set out to demonstrate that this diversity could be accommodated and encouraged within a common organizational framework based around a set of common services. Apereo provides such a framework, enabling higher education institutions to identify objectives and connect to other institutions with similar objectives - thus bringing together resources required for their realization. We focus on the the core mission related areas of higher education - learning, teaching and research - together with the infrastructure these areas require. This reflects another reality in higher education: institutions spend a disproportionate amount of funding on software to administer themselves. Apereo seeks to help redress that balance. Apereo is a non-profit membership organization, with a membership of around 110 educational institutions and commercial partners. We integrate our work closely with the ESUP consortium of universities in France. This combined inner network represents around 180 higher education and commercial entities worldwide, with strong membership clusters in North America, Europe, South Africa and Japan. Our approach to software community governance recognizes diversity; we do not believe that there exists a universally applicable governance model that is appropriate for software occupying different positions in the software stack at different periods in the software life-cycle. As a consequence, our portfolio of software communities contains those that are Apache-like, and those which resemble nothing so much as collectively resourced Kickstarter projects - with a number of hybrid models. The Apereo Foundation itself is deliberately light in scope. We provide a point to manage IPR and licensing, and provide a number of infrastructure and community services. Our emphasis is very much on "bottom up" enabling and facilitating activities and services, rather than a foundational "top down" control. 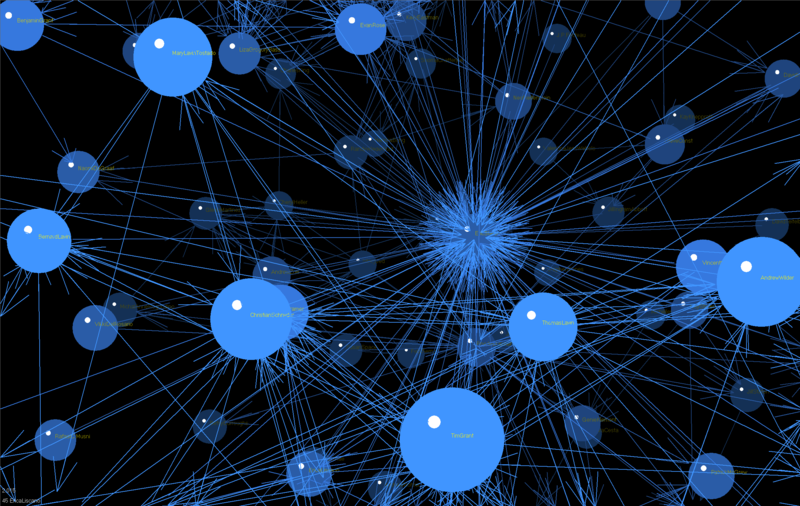 Increasingly, we see ourselves as a node - we hope an important one - in a network of organizations which seek to bring the benefits of open development and practice to higher education. There's a tendency in higher education towards conservatism, so what might appear to be an open source initiative is really not much more than a consortium using an open source license. This is great; it provides open software of great utility to higher education, but it perhaps only represents the beginning of wisdom. Open development practices have a great deal more to offer than simply a license and IPR regime acting to reduce consortial friction. Higher education can learn valuable lessons from discernible patterns in the broader open source community. Multiplying resource by engaging with volunteer effort, and the benefits of an open "release early, release often" strategy are just two elements that are worthy of much more attention. Apereo really came into being with the new year in 2013, so I'd have to say that the merger of Jasig and Sakai, which was the culmination of a couple of years effort by many, many volunteers, and a truly overwhelming vote of our membership was a pretty significant highlight. Successful events on four continents, that began to show the power of our broader community as an open pole of attraction in global higher ed were also tremendously significant. In terms of the future, the most significant, in my own opinion, was the process of renewal surrounding our incubation policy and program. Incubation is at the core of what we do: it's about the process of moving from innovation to sustainability. We spent six months consulting inside and outside our community to assess what our members wanted to see from a next iteration of our incubation effort. We ended the year with a stronger policy, a great group of volunteer incubation mentors to work with incubating projects, and a considerable number of projects considering incubation. Some of these are bubbling up within Apereo itself. Others, such as Opencast Matterhorn, who approached us to enter incubation in December, are high-profile initiatives with an established track record and established communities. I believe this provides both a validation of the merger and new community, and an increased opportunity to fulfill our mission. It's tremendously exciting. We still have a great deal to do in terms of effective consolidation of the two former organizations. Ensuring effective support for our existing projects, whilst continuing to develop and evolve our incubation effort in the light of new experience are both major objectives. Above all, we need to avoid over-reach, and focus on our role as a pragmatic, enabling and facilitating organization for higher education. I've begun several presentations recently with the anecdote - which may be apocryphal - about Zhou Enlai at the Geneva peace conference in the 1950's. He was asked for his opinion on the French Revolution, and replied "It's too soon to say". Those of us involved in open source in higher education would do well to remember that our history is relatively recent, and that we are more likely to attract support by demonstrating the utility of our approach, rather than by religious exhortation. We're part of an emerging network, not the network itself. Apereo's affiliation with the OSI was in part a recognition of the tremendous licensing and advocacy work of OSI over the years. We feel very strongly that this work should be visibly supported. It was also driven by the desire I've just expressed - to help to build a more effective network of peers with common goals. I hope that we can work together to raise awareness of the benefits—and limitations—of open source software and open approaches in education. We need to ensure that computer science and other curricula include an examination of open source, and increase understanding of open source alternatives. That's too big a job for one organization, but becomes viable when we act in partnership. That's a tangible area I'd like us to work on together. A variety of opportunities exist for individuals across the Apereo community within one of our software communities or communities of interest. Any organization supporting to higher education—not only colleges and universities—can consider Foundation Membership with Apereo. Interested individuals and representatives may attend one of our many events, including our major annual conference "Open Apereo" scheduled for this June in Miami, Florida—but we also have forthcoming events in Europe in February, South Africa and Japan (March) and Mexico (May). Please note, the OSI makes every attempt to ensure the accuracy of the information provided here. We strongly suggest contacting the listed Affiliate or the specific event organizer to confirm all dates, locations and other details. Thank you to our latest members, without whom we could not continue our important work to educate the world about, and increase adoption of, open source software. 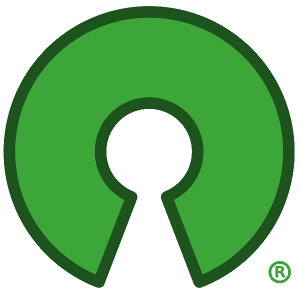 Opensource.org newsletter content is licensed under a Creative Commons Attribution 3.0 License.